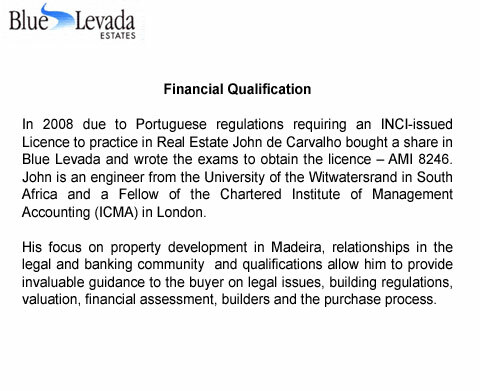 Blue Levada was founded in 2002 by Birgitta Herlin as a property search company in Madeira, specifically focused on the overseas buyer. 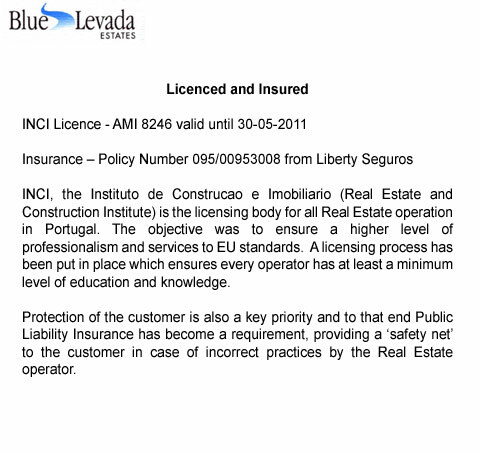 Legislation in Portugal has required that all real estate operators obtain a licence through INCI - Instituto de Construcao e Imobiliario (Real Estate and Construction Institute) - which has been done - AMI 8246. Our philosophy however remains the same: the overseas buyer is our customer and our focus is on helping you find the right property for your needs and guiding you through the purchase process. We work hard to provide our clients with value for money and only accept properties for sale that are appropriate for international buyers from a location and quality perspective. Whether you are looking for a small cottage in the mountains, a big Quinta, an apartment, a new development or a plot of land we have a selection of properties on Madeira and Porto Santo. Want to buy a second home, an investment or retire on Madeira? We will help you fulfill your dream. 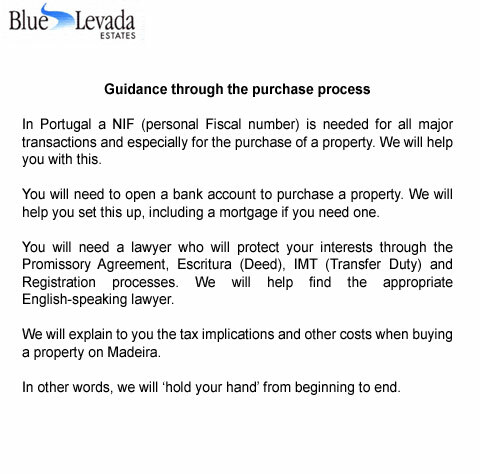 Why is Blue Levada the right company to help you? REGISTER FOR OUR NEWSLETTER and stay in touch with the latest properties available.